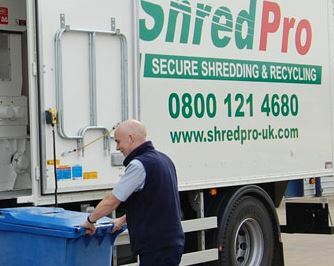 ShredPro Shredding Services covering Derby and surrounding areas. ShredPro, is a secure shredding and recycling service covering Derby and surrounding areas serving both domestic and commercial clients. All of our shredding services come with a security guarantee. Our drivers and shredding operatives are enhanced CRB checked and vetted to DS7858 regulations so you can have peace of mind that your confidential and sensitive documents won�t end up in the wrong hands. We have extensive experience in providing secure shredding and our professional service positions us as your first choice document shredding provider. Our tailored approach for dealing with clients ensures all your shredding needs are met. We offer both regular or one-off shredding services meaning we can help both business and private individuals. Give us a call to arrange our reliable shredding service in Derby.